Looking for a 2018 MINI Countryman? This is it. This MINI includes: BRITISH RACING GREEN METALLIC JOHN COOPER WORKS INTERIOR PACKAGE Leather Steering Wheel Bucket Seats SPORT PACKAGE Tires - Front Performance Aluminum Wheels Daytime Running Lights Tires - Rear Performance Active Suspension Bucket Seats Headlights-Auto-Leveling PARKING ASSISTANT W/FRONT Automatic Parking TRANSMISSION: STEPTRONIC AUTOMATIC 8-Speed A/T Transmission w/Dual Shift Mode A/T *Note - For third party subscriptions or services, please contact the dealer for more information. * Want more room? Want more style? This MINI Countryman is the vehicle for you. Stylish and fuel efficient. It's the perfect vehicle for keeping your fuel costs down and your driving enjoying up. Few vehicles can match the safety and comfort of this AWD MINI Countryman Cooper. With enhanced performance, refined interior and exceptional fuel efficiency, this AWD MINI is in a class of its own. We look forward to seeing you soon! Please call us for more information. ***This vehicle is currently a service loaner, it could be with one of our service customers, please call for availability and current miles*** This MINI includes: HEATED FRONT SEATS STORAGE PACKAGE LIGHT WHITE *Note - For third party subscriptions or services, please contact the dealer for more information. * Want more room? Want more style? This MINI Countryman is the vehicle for you. No matter the varying terrain or weather conditions, this all-wheel drive vehicle will help you reach your destination safely and securely in a well-appointed cabin with many features found on cars twice the price. There is no reason why you shouldn't buy this MINI Countryman Cooper. It is incomparable for the price and quality. We look forward to seeing you soon! Please call us for more information. Looking for a 2019 MINI Countryman? This is it. This MINI includes: HEATED FRONT SEATS STORAGE PACKAGE *Note - For third party subscriptions or services, please contact the dealer for more information. * Want more room? Want more style? This MINI Countryman is the vehicle for you. Everyone hates the gas pump. Skip a few gas stations with this super fuel efficient MINICountryman. Enjoy the comfort and safety of this AWD MINI Countryman Cooper equipped with many standard features found on other vehicles as optional equipment. We look forward to seeing you soon! Please call us for more information. Looking for a 2019 MINI Countryman? This is it. This MINI includes: HEATED FRONT SEATS STORAGE PACKAGE *Note - For third party subscriptions or services, please contact the dealer for more information. * This SUV gives you versatility, style and comfort all in one vehicle. Why spend more money than you have to? This MINI Countryman will help you keep the extra money you'd normally spend on gas. This AWD-equipped vehicle will handle beautifully on any terrain and in any weather condition your may find yourself in. The benefits of driving an all wheel drive vehicle, such as this MINI Countryman Cooper, include superior acceleration, improved steering, and increased traction and stability. We look forward to seeing you soon! Please call us for more information. Looking for a 2019 MINI Countryman? This is it. This MINI includes: HEATED FRONT SEATS STORAGE PACKAGE *Note - For third party subscriptions or services, please contact the dealer for more information. * Want more room? Want more style? This MINI Countryman is the vehicle for you. Why spend more money than you have to? This MINI Countryman will help you keep the extra money you'd normally spend on gas. Simply put, this all wheel drive vehicle is engineered with higher standards. Enjoy improved steering, superior acceleration, and increased stability and safety while driving this AWD MINICountryman Cooper. We look forward to seeing you soon! Please call us for more information. ***This vehicle is currently a service loaner, it could be with one of our service customers, please call for availability and current miles*** This MINI includes: SIGNATURE TRIM TOUCHSCREEN NAVIGATION PACKAGE *Note - For third party subscriptions or services, please contact the dealer for more information. * Want more room? Want more style? This MINI Countryman is the vehicle for you. Stylish and fuel efficient. It's the perfect vehicle for keeping your fuel costs down and your driving enjoying up. Based on the superb condition of this vehicle, along with the options and color, this MINI Countryman Cooper S is sure to sell fast. We look forward to seeing you soon! Please call us for more information. ***This vehicle is currently a service loaner, it could be with one of our service customers, please call for availability and current miles*** This MINI includes: SIGNATURE TRIM TOUCHSCREEN NAVIGATION PACKAGE *Note - For third party subscriptions or services, please contact the dealer for more information. * This SUV gives you versatility, style and comfort all in one vehicle. Everyone hates the gas pump. Skip a few gas stations with this super fuel efficient MINICountryman. The look is unmistakably MINI, the smooth contours and cutting-edge technology of this MINI Countryman Cooper S will definitely turn heads. We look forward to seeing you soon! Please call us for more information. Looking for a 2019 MINI Countryman? This is it. Want more room? Want more style? This MINI Countryman is the vehicle for you. Few vehicles can match the safety and comfort of this AWD MINI Countryman Cooper S. With enhanced performance, refined interior and exceptional fuel efficiency, this AWD MINI is in a class of its own. You can finally stop searching... You've found the one you've been looking for. You could keep looking, but why? You've found the perfect vehicle right here. We look forward to seeing you soon! Please call us for more information. ***This vehicle is currently a service loaner, it could be with one of our service customers, please call for availability and current miles*** This MINI includes: PREMIUM PACKAGE SIGNATURE TRIM *Note - For third party subscriptions or services, please contact the dealer for more information. * Want more room? Want more style? This MINI Countryman is the vehicle for you. Stylish and fuel efficient. It's the perfect vehicle for keeping your fuel costs down and your driving enjoying up. The look is unmistakably MINI, the smooth contours and cutting-edge technology of this MINI Countryman Cooper S will definitely turn heads. We look forward to seeing you soon! Please call us for more information. Looking for a 2019 MINI Countryman? This is it. This MINI includes: POWER TAILGATE LED FOG LIGHTS Fog Lamps SIGNATURE TRIM *Note - For third party subscriptions or services, please contact the dealer for more information. * Want more room? Want more style? This MINI Countryman is the vehicle for you. No matter the varying terrain or weather conditions, this all-wheel drive vehicle will help you reach your destination safely and securely in a well-appointed cabin with many features found on cars twice the price. There is no reason why you shouldn't buy this MINI Countryman Cooper S. It is incomparable for the price and quality. We look forward to seeing you soon! Please call us for more information. Looking for a 2019 MINI Countryman? This is it. This SUV gives you versatility, style and comfort all in one vehicle. Comfort. Performance. Safety. Enjoy all three with this well-appointed AWD 2019 MINI. The MINI Countryman Cooper S will provide you with everything you have always wanted in a car -- Quality, Reliability, and Character. You can finally stop searching... You've found the one you've been looking for. We look forward to seeing you soon! Please call us for more information. Looking for a 2019 MINI Countryman? This is it. This MINI includes: SIGNATURE TRIM STORAGE PACKAGE *Note - For third party subscriptions or services, please contact the dealer for more information. * Want more room? Want more style? This MINI Countryman is the vehicle for you. This vehicle has an added performance bonus: AWD. It improves handling on those winding back roads, and gives you added safety and control when driving through wet and snow weather conditions. The MINI Countryman Cooper S will provide you with everything you have always wanted in a car -- Quality, Reliability, and Character. We look forward to seeing you soon! Please call us for more information. ***This vehicle is currently a service loaner, it could be with one of our service customers, please call for availability and current miles*** Looking for a 2019 MINI Countryman? This is it. This MINI includes: PREMIUM PACKAGE SIGNATURE TRIM TOUCHSCREEN NAVIGATION PACKAGE *Note - For third party subscriptions or services, please contact the dealer for more information. * Want more room? Want more style? This MINI Countryman is the vehicle for you. Start enjoying more time in your new ride and less time at the gas station with this 2019 MINI Countryman. This is the one. Just what you've been looking for. We look forward to seeing you soon! Please call us for more information. ***This vehicle is currently a service loaner, it could be with one of our service customers, please call for availability and current miles*** Looking for a 2019 MINI Countryman? This is it. Want more room? Want more style? This MINI Countryman is the vehicle for you. Stylish and fuel efficient. It's the perfect vehicle for keeping your fuel costs down and your driving enjoying up. The look is unmistakably MINI, the smooth contours and cutting-edge technology of this MINI Countryman Cooper S will definitely turn heads. The MINI Countryman Cooper S will provide you with everything you have always wanted in a car -- Quality, Reliability, and Character. We look forward to seeing you soon! Please call us for more information. Looking for a 2019 MINI Countryman? This is it. 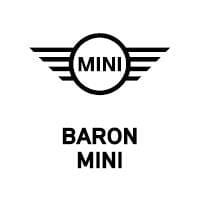 This MINI includes: ICONIC TRIM SPACE-SAVER SPARE *Note - For third party subscriptions or services, please contact the dealer for more information. * This SUV gives you versatility, style and comfort all in one vehicle. No matter the varying terrain or weather conditions, this all-wheel drive vehicle will help you reach your destination safely and securely in a well-appointed cabin with many features found on cars twice the price. This is about the time when you're saying it is too good to be true, and let us be the one's to tell you, it is absolutely true. We look forward to seeing you soon! Please call us for more information.